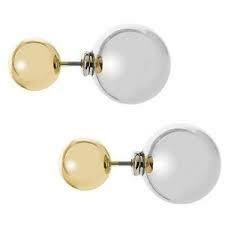 A very wise woman once told me that the biggest fashion faux pas a woman could commit would be to have empty earlobes. Not wearing a shirt two sizes too small, or wearing a black bra under a white shirt… but committing the crime of forgetting your earrings. Since then I have upped my ear game and I’ve started taking my earring bling to the next level. Luckily, the time of boring studs and simple hoops has passed and ear art has started to become truly exciting. It started with the ear pin – a simple style that didn’t look too wild and could take the place of my usual silver studs. 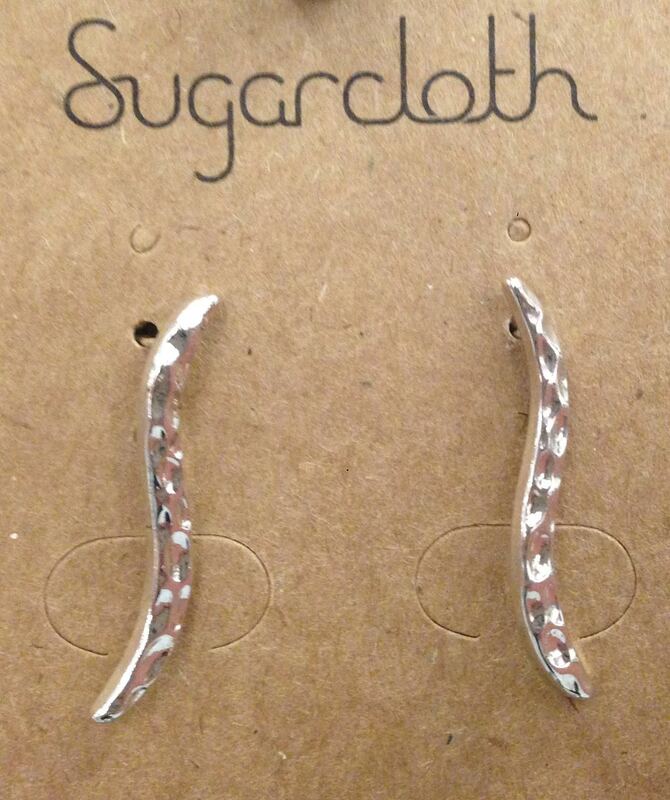 This funky style has a longer, curved back stud, and loops up or ‘crawls’ up your ear. You can wear it alone or as a pair, and it looks fun and funky both ways. The newly opened South Bay Galleria store Sugarcloth has a plethora of fun options for under $10 that can be mix-and-matched with any outfit. 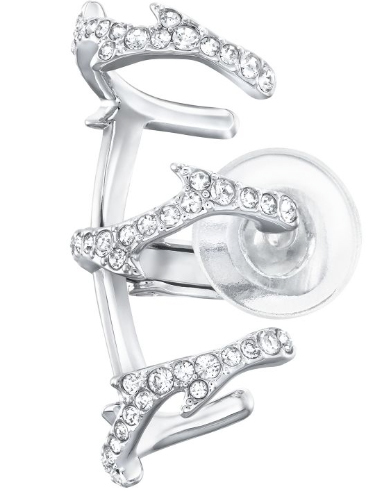 The ear cuff, something I scoffed at in the 90’s, is also making a come back and I’m glad it did. Instead of being the punk rock alternative to a piercing, these new ear cuffs are stylish yet funky and the perfect outfit accessory if you want to add a little pizzazz to your style. Even Swarovski has jumped on the alternative-earring band wagon and has multiple seriously sassy yet sophisticated options. The retro Dior Tribal earrings are also having a fabulous resurgence. Their simple elegance is the easiest of the styles to pull off with any outfit. It’s started popping up on the red carpet as an up do fashion statement, either in both ears or just one. Emma Watson took the 2014 Golden Globes by storm with a single surprising pearl statement earring and shortly after Jessica Lawrence was also spotted in the simple yet sassy twist on the two-sided pearl stud. 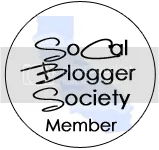 Now they can be found in a rainbow of colors all over Etsy and most recently was given a multi medal update in Banana Republic’s jewelry collection. My favorite of the four styles, the ear jacket, can be bold, simple or simply funky. The style takes advantage of both the simplicity of the stud, and the endless options of a genius piece of jewelry that connects to your ear from the back of the earring and hangs just behind the earlobe. You can go crazy with spikes, or simple with a rainbow of crystals. 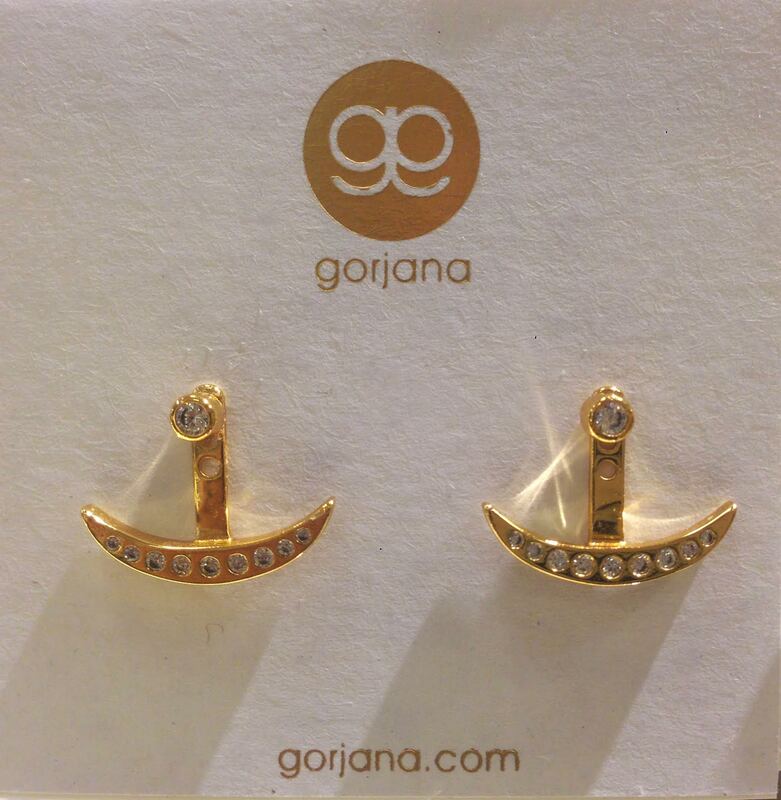 My favorites come from the gorjana and NADORI jewelry collections at Nordstrom. The new style has started to catch on like printed yoga pants at the gym, and can be found at just about any store with a jewelry selection.